Maseru (Lesotho) (AFP) - Lesotho's military seized control of police headquarters in the tiny African kingdom in the early hours of Saturday, a government minister told AFP, describing the events as a coup attempt. 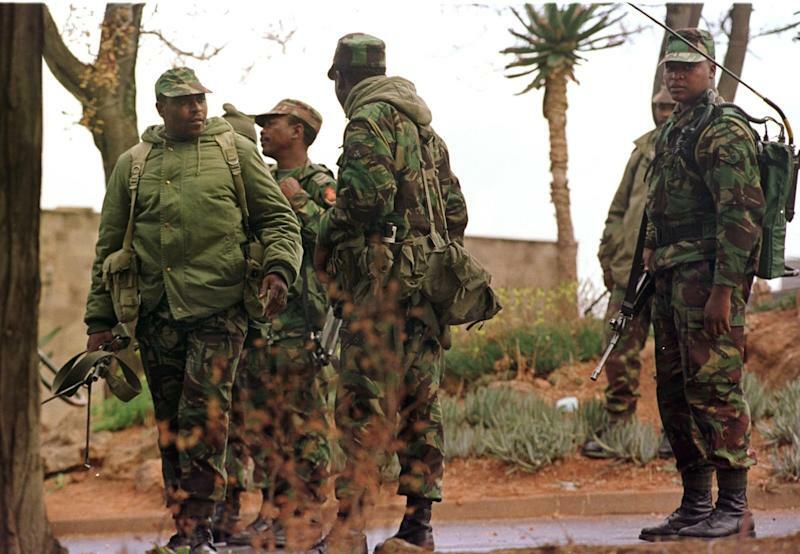 "The armed forces, the special forces of Lesotho, have taken the headquarters of the police," sports minister and leader of the Basotho National Party Thesele Maseribane said. "The [military] commander said he was looking for me, the prime minister and the deputy prime minister to take us to the king. In our country, that means a coup," he said. But Maseribane insisted Prime Minister Tom Thabane's government was still in control of the landlocked nation, which is located within eastern South Africa, and said the premier was "fine" without offering details of his whereabouts. An AFP photographer reported shots ringing out in the early morning hours, and said a reinforced military contingent was guarding the prime minister's official residence and that soldiers were patrolling the streets of the capital Maseru. "There's still a lot of danger. People who have arms are running around Maseru." "There is some intelligence that he is part," he said. The LCD is part of a shaky coalition which has governed Lesotho since elections two years ago. But, increasingly frustrated with Thabane, the party vowed months ago to form a new government and oust the premier. In response, Thabane suspended parliament -- with the blessing of King Letsie III who has ruled the constitutional monarchy since 1996 -- allowing him to dodge a vote of no confidence. After emergency talks in June, the coalition parties agreed to continue working together. Metsing could not immediately be reached to comment on Saturday's reported violence, but another LCD government member, Communications Minister Selibe Mochoboroane, denied knowledge of events in the capital. Two clerics who were part of the team that mediated the deal in June said they were rushing to the capital on Saturday. "There's an attempted attack or surrounding of state house," said Anglican Bishop Adam Taaso, referring to the seat of government. "The police stations this morning were surrounded by the soldiers," Lesotho Evangelical Church head Simeon Masemene told AFP. "Pray for our country, we don't know what is happening," he said. Sports Minister Maseribane said he had no information about casualties, blaming the military for jamming radio stations and phone networks. "They've jammed phones, they have jammed everything," he said. However coalition partners accused Thabane of operating without consulting other partners, and LCD made moves to oust him and form a new government. "Since the previous elections, the coalition struggles to work and the premier was criticised for his authoritarianism," a European diplomatic source who works in Lesotho told AFP. The power tussle earlier drew concern from powerful neighbour South Africa, which gets water and electricity from the kingdom. Pretoria's foreign ministry spokesman Clayson Monyela said the country would issue a statement later on Saturday.